Girl’s Day Members Appear On Running Man! As an idol, besides performing on stage, they must also appear on shows, for example variety shows, so they can be well known, not only by their fans. Girl’s Day members appeared on a popular variety show SBS’s Running Man. Let’s take a look at the episodes that star each of the Girl’s Day member! Girl’s Day member Hyeri appear on Running Man in the 294th episode, along with Song Min-ho and Nam Tae-hyun from WINNER. This episode aired on Sunday, April 10th 2016 with the title Robot War: Running Man vs Machine. The Running Man members must find the guest in the specific place. Yoo Jae-seok finds Hyeri for the first time in a salon, and later Ji Seok-jin comes along. Haha met Song Min-ho in front of the YG Entertainment building, and Haha and Song Ji-Hyo find Nam Tae-hyun hiding in a salon. In the first round, they were divided into 3 teams to do missions working against the machine, and collecting coins for the final mission. The first team was Yoo Jae-seok, Hyeri, and Nam Tae-hyun. They fought with the robot to pop balloons, and whoever popped more won the game. The next group was Gary, Haha, and Song Min-ho. They fouht with a plastic wrapping machine to see who was the fastest at wrapping a box in a specific way. The last group was Ji Seok-jin, Lee Kwang-soo, and Song Ji-hyo. The Final mission was a competition of each member against the Al kungkungdda r Al Phago. The member had to defeat the machines in a word chain game. Al kungkungdda is a machine that is known for being very smart. Each member can buy help with the coins that they collected in their previous missions. The help can be things like a dictionary or asking the MC who an announcer was. Hyeri won the final mission. Although she didn’t win against the robot, she was the final member who survived. She received electromagnetic shielding equipment as a reward. Sojin appeared in Running Man on Sunday, February 8th 2015 for the episode Idol Race 2015. This episode invited idols who hardly ever go to variety shows. 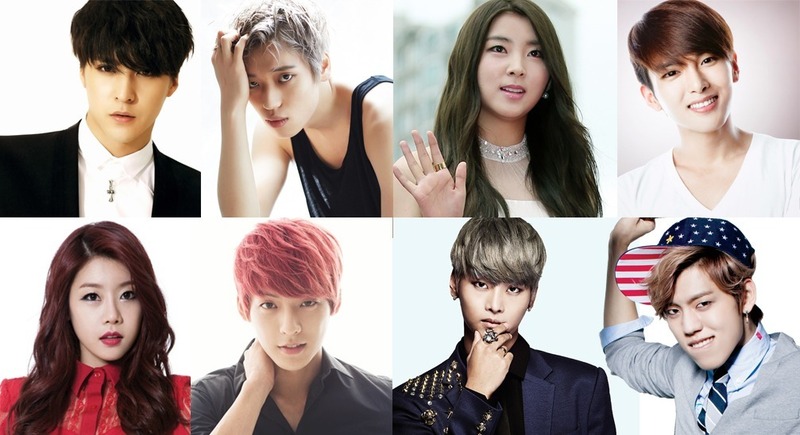 Sojin came along with Ahn Daniel or Niel from Teen Top, Eric Nam, Jang Dong-woo of Infinite, Kim Ryeo-wook from Super Junior, Kwon So-hyun from 4Minute, Lee Min-hyuk of BtoB, N from VIXX, and Son Dong-woon of Beast or now known as HIGHLIGHT. They divided into 4 teams. The Red Team consisted of Yoo Jae-seok, Jang Dong-woo, Son Dong-woon and Kwon So-hyun. The Pink Team consisted of Gary, Haha, N and Sojin. 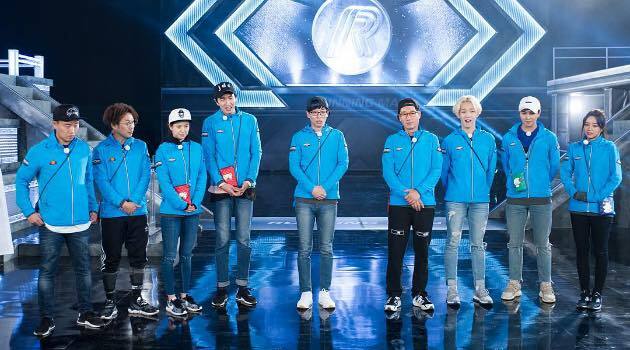 The Blue Team consisted of Ji Seok-jin, Lee Kwang-soo, Eric Nam, and Niel. The last one, White Team, consisted of Kim Jong-kook, Song Ji-hyo, Lee Min-hyuk, and Kim Ryeo-wook. They competed against each other in several missions such as mud flats and ripping name tags to collect gold bars. The Pink team won and took 10 gold bars.